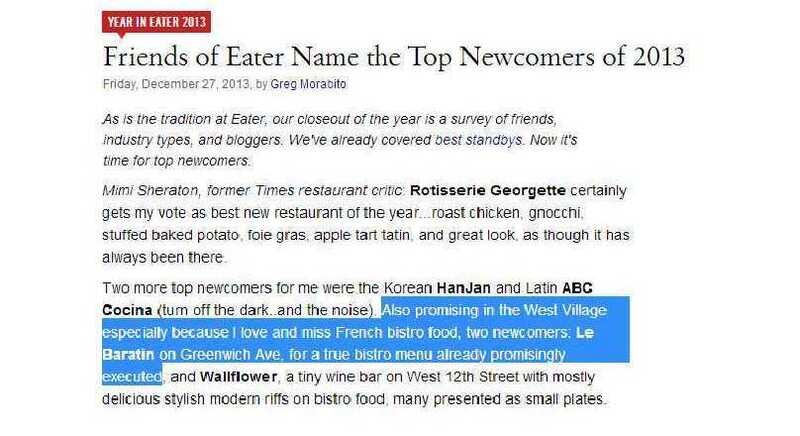 Also promising in the West Village especially because I love and miss French bistro food... 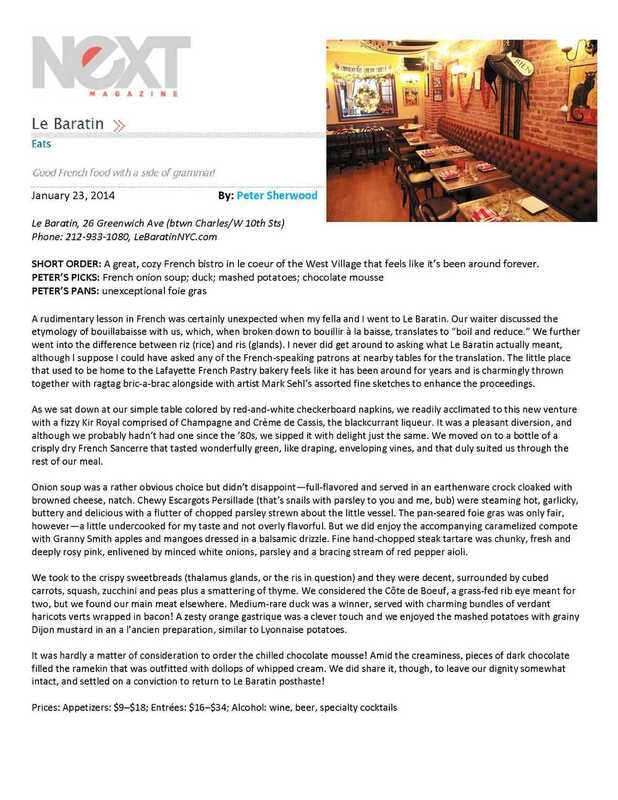 Le Baratin on Greenwich Ave, for a true bistro menu already promisingly executed. Le Baratin is a casual French bistro located in the West Village overlooking Greenwich Avenue between 6th and 7th Avenues. 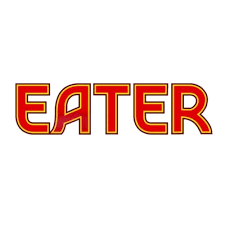 Opened by brothers Michael and Cyril Touchard along with their friend David, the three wanted to create a neighborhood restaurant with a menu based on simple and traditional French bistro fare. Brothers Michael and Cyril come to Le Baratin after years of experience in their family’s well-known New York City French restaurants, including Le Tout Va Bien and Les Sans Culottes. The crowd at Le Baratin consists of a mix of neighborhood regulars and destination diners, many of whom come not only for the French cuisine, but also for the warm and welcoming atmosphere and gracious service. Menu items are freshly prepared and seasonally driven and complemented with a selection of cocktails, beers and wine available by the glass or bottle. 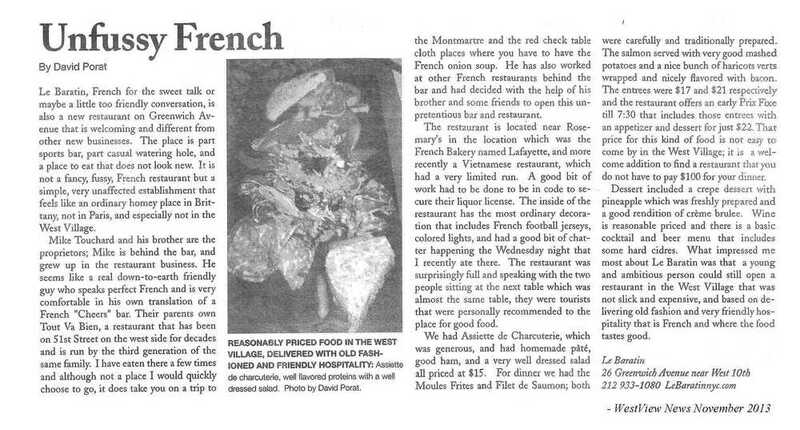 Working with local products and purveyors, our menus feature a selection of familiar bistro offerings. Our signature dishes include the mussels, the tartare de boeuf au couteau, and the steak frites topped with a homemade peppercorn sauce and served with perfectly cooked hand-cut fries. Our dessert menu features a changing assortment of homemade desserts, but always includes classic favorites like crème brûlée and chocolate mousse. The team at Le Baratin is committed to making sure that each guest receives the personal service required to ensure that everyone leaves happy. If you decide to dine with us, we expect that you will recognize that we serve only the highest quality and freshest ingredients from top suppliers around New York City and that we truly value our guests. We recognize that there is no shortage of dining options in New York City so we strive each day to make sure that the time you spend with us is time well spent. We look forward to seeing you soon.